Jurgen Klopp has described Liverpool’s Champions League semi-final opponents AS Roma as an “outstanding” side after Friday afternoon’s draw. The Reds will take on their Italian counterparts at Anfield on April 24, before travelling to Stadio Olimpico for the second leg of their final-four clash on May 2. 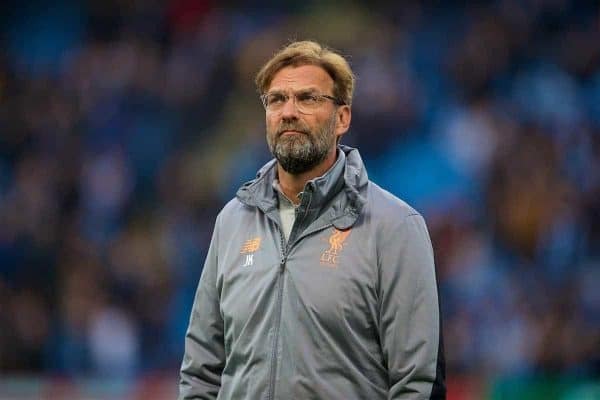 Having surpassed Hoffenheim, Maribor, Spartak Moscow, Sevilla, Porto and Man City already in the competition, Klopp’s side can now dream of lifting a sixth European Cup. They have arguably been handed the most favourable semi-final draw, with one of Bayern Munich or Real Madrid to come in the final if they make it through. But speaking ahead of Saturday’s Premier League meeting with Bournemouth at Anfield, a confident Klopp lavished praise on Roma, underlining how it would not be an easy tie. “It was not that I thought ‘Thank God not Bayern, thank God not Real Madrid, yippee Roma’ or the other way around,” he told LiverpoolFC.com. “It is just the draw and I know it is very exciting, but it is good because the most important news is we are still in the competition. “Whichever opponent we would have got, I would have said there is a chance because it is football—so there is a chance against Roma. “But if anybody think this is the easiest draw then I cannot help this person; they obviously didn’t see both games against Barcelona. “In the first result, the 4-1, it was not like the game was—it was Messi genius against a good side of Roma. “The second leg was outstanding, it was outstanding what they did. They should have probably won four or five-nil—I was really impressed. Liverpool last met Roma in a pre-season friendly under Klopp in 2016, with Sheyi Ojo cancelling out Edin Dzeko’s opener only for Mohamed Salah to score to seal a 2-1 win in St Louis. The two sides have faced off only five times in competitive games in their history, most notably in the European Cup final in 1984. This will prove largely irrelevant over two legs this season, however, with Klopp right to focus on Roma’s development under Eusebio Di Francesco as he bids for a place in the final.